Time to fly a kite in the cumulus sky and kick over some young daffodils. It's also the perfect time to discover a good Bock Beer – a strong, often very dark, malty lager. What's in a name? The name Bock actually comes from a corruption of the name Einbeck (The German city that is the origin of bock beers). 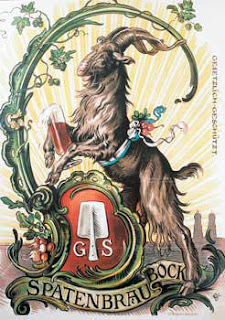 And what about the goat that is the “universal symbol” for bock beers? The answer is that the German word for Billy-goat is also "bock," so Bock beers have adopted the Billy-goat as their official symbol. Here's to spring and your favorite bock.